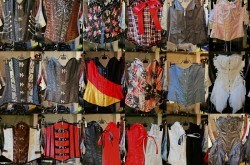 Number 1 Costume Costume is your one stop costume showroom for all your costuming needs. Our costumes and mascots range from Movies, TVs, Music, Sports, Heroes, Villians, Fantasies, Sci Fi, International and much MUCH MORE! With 50,000 costumes and 4000 accessories, there is endless fun and possibilities for a variety of occassions and events. So come on down to our showroom now, or contact us for further enquires.